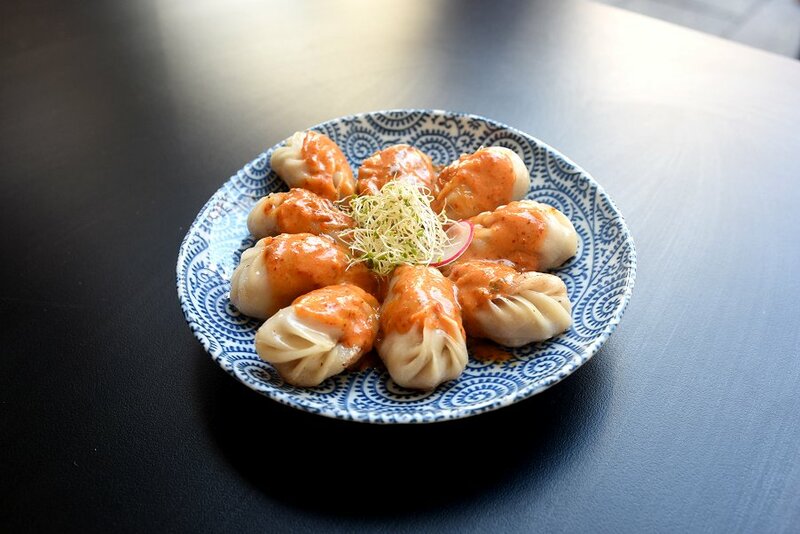 Hindley street has a new dumpling place! 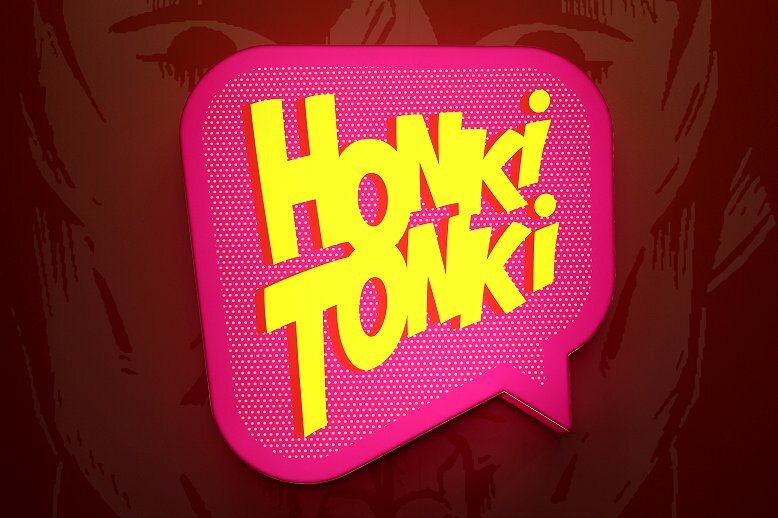 Honki Tonki is the latest Hong Kong Street Food-style restaurant from the people behind Sit Lo. It is colourful and quirky place, with bright pink walls covered in interesting comics and charming quotes from Bruce Lee and Po from Kung Fu Panda. Serving a range of noodles, dumplings and sides and soon to feature the infamous egg waffles (I can’t wait! ), Honki Tonki has everything needed for a light, casual lunch or drunken night time snack. We tried four dishes at Honki Tonki: The Satay Noodle Soup, Glass Noodles, Soba Noodles and the Chicken and Mushroom Fried Dumplings. The satay noodle soup was also tasty for a general soup noodle dish, but lacking in the typical ‘satay’ flavour. While we did like the dish (especially the tender, flavoursome sliced beef), we expected more of a peanut flavour in the soup that didn’t quite stand out in the way we might have hoped. In addition, the dish was mildly spicy, so make sure ask for no chilli if you’re not a fan! 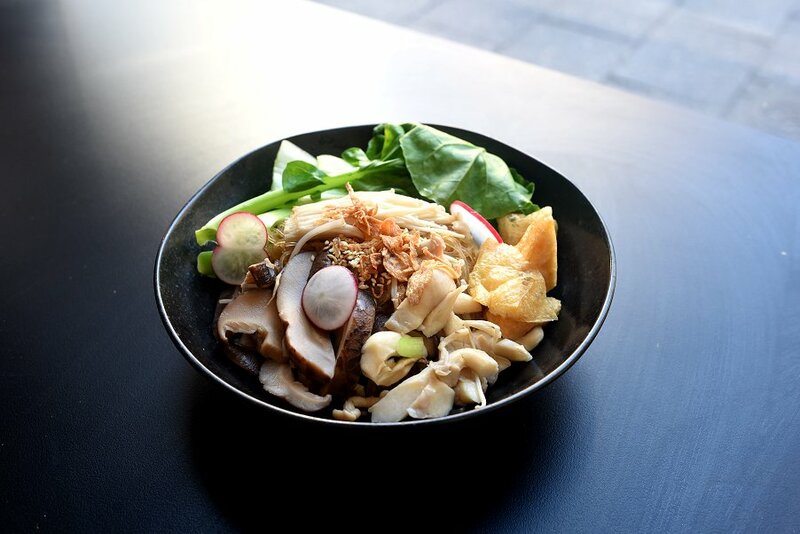 The dry noodle dishes were fresh and tasty with a variety of flavours to choose from. 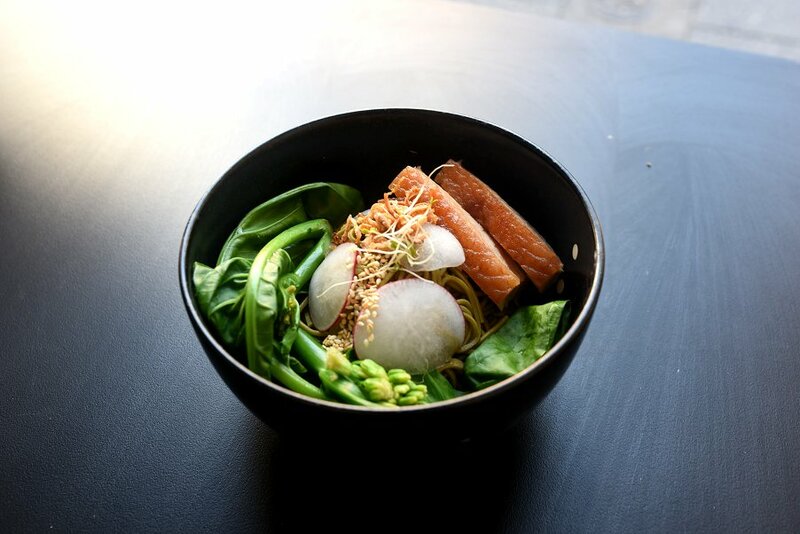 The glass and soba noodles featured light, tasty flavours, but to some people it may seem bland. We would have loved to taste more sauce or flavour infused in the noodles and vegetables. This was not a deal breaker, however: I loved the refreshing flavours and as a mushroom lover, I was excited by how generous the mushroom portions were. Overall these dishes were enjoyable, and especially suited for summer weather coming up soon. By far our favourite dish of the day was the Chicken and Mushroom dumplings. The dish came with ten dumplings covered in sweet coconut curry sauce. We loved every bite of this dish, especially the sauce – we could have licked the plate clean if we weren’t being polite to each other. I should note that I am extremely picky with dumplings and only have a few places in Adelaide where I’ll order them; Honki Tonki is now one of those places! 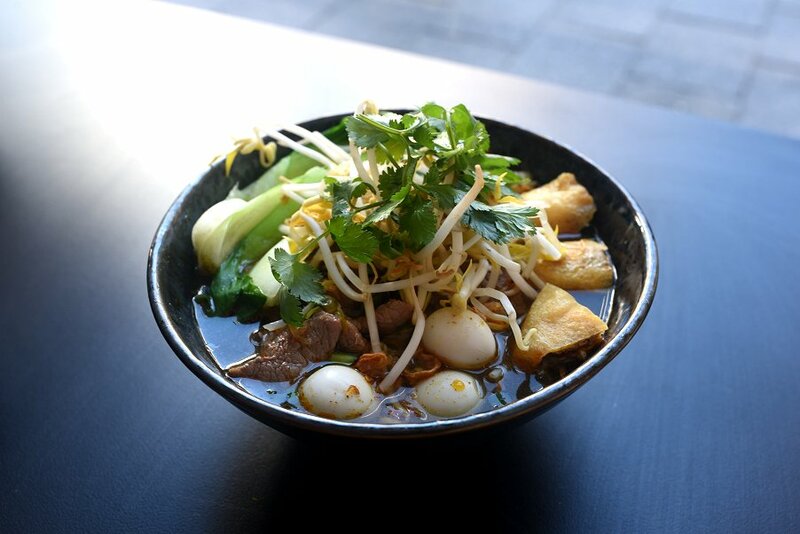 Overall Honki Tonki shows a lot of promise as a new Hindley street favourite. The staff are friendly and welcoming, the décor is adorable and the food is varied and enjoyable. Give it a try if you’re looking for a new lunch place during the day, or a snack spot to stumble into at night.